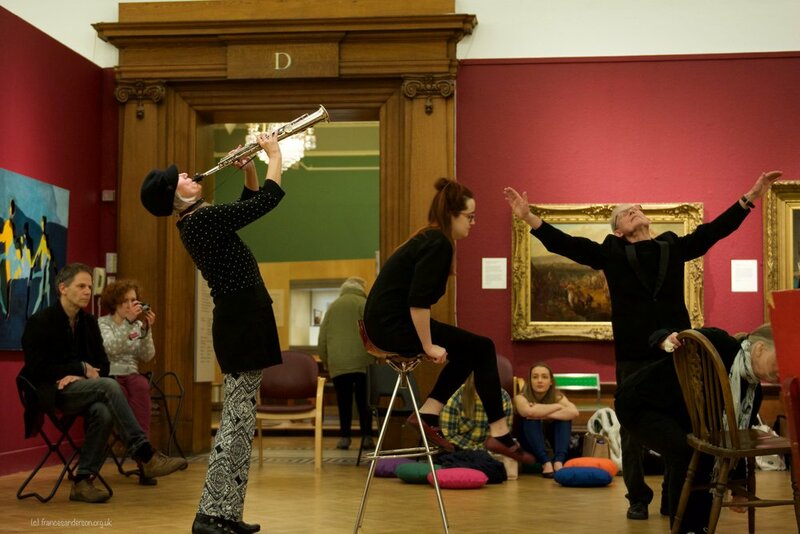 GGDC performed with, and for, the staff and students of Northumbria University at the Shipley Art Gallery in Gateshead on the 6th Feb 2016. A day of free art activities, it included performances and talks on the theme of chairs and sitting. GGDC occupied the main gallery space at Shipley and offered a moving meditation on the processes and purposes of being seated and the art of sitting. We were accompanied by composer John Kefala Kerr and visual artist and musician Karen Rann. With thanks to Liz Pavey for inviting us to contribute to this event.